Christian Tresser’s Air Max 97 silhouette never falls out of the spotlight for too long. Arguably the most revered late 90s Nike Sportswear classic, the 97 unofficially staked its claim in 2017 in the midst of its 20th anniversary celebration. With the Swoosh taking notice of the model’s increased popularity, 2018 has been responsible for its fair share of drops as well including high profile releases done in collaboration with Virgil Abloh’s Off-White label. 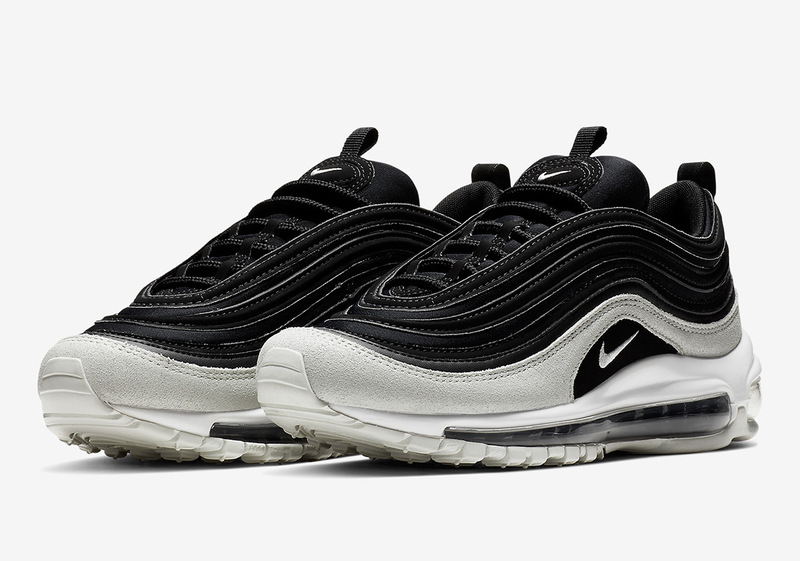 With its gathered momentum full steam ahead, the AM97 is set to be rolled out in a clean and simple color scheme that calls upon Black and Spruce Aura for the entirety of its make up. For a more premium, Fall-centric touch, Nike’s designers have also opted to swap its primarily leather mudguard out for a quick hit of buttery suede. Currently, no official release date exists, but you can grab and official look at the next Air Max 97 colorway below and check out our Sneaker Release Dates page for updates while you wait.